So you all remember my latest project I undertook right? You know...the one where I have 6 yards of dirt (which is somewhere around 5 million pounds for those of you wondering) dumped onto the driveway when my hubs is out of town at an annual golf outing for 3 days? That one? 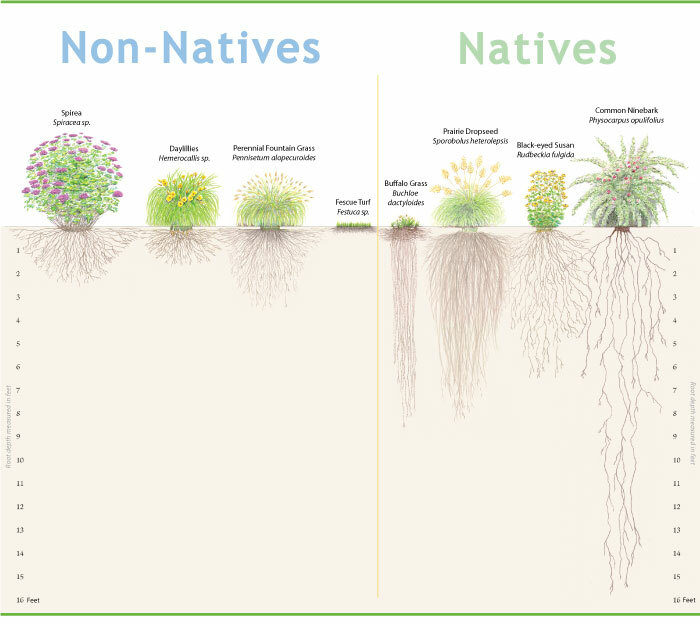 Native plants/Perennials are the way to go - remember the diagram I shared with you all? A couple more garden gnomes & a bird bath & I'll be good to go with this one! So what about you? Do you spend time finding your green thumb? Is gardening relaxing or a chore for you? It looks awesome! I love the mini hill you have, so many wonderful opportunities! Gardening is a combination of chore and relaxation. I love when things come together, but man I hate the work that it takes to get there. The transformation is amazing! I did a double take when I saw snow in the first picture. I have found my green thumb more this year than any other year. 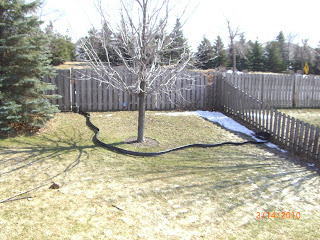 Getting a retaining wall built made a big difference and all those free plants helped too. The weeds are out of control again but I'm not die hard enough to care when the mosquitoes are THIS bad. Looks like you did a fabulous job! What a ton of work, but you should be completely proud of what you've done. Gardening is totally a chore for me. Which is why Mark looked at me like a grew a 2nd head when I said I rented a community garden plot in the park to grow veggies. Details to come on that adventure! That looks incredible. At our house, we are working on completing our deck expansion. Next year, I want to work on cleaning up the back yard and make it into our "getaway" to relax.